AIM: To lead students to discover three specific instructions Christians should follow in order to maintain a good testimony in the world, and to commit themselves to following Christ’s example. Before class: Read the notes on 1 Peter 2:13-25 found in the Sunday School Teacher Book. Ask: “How did Candace and Mark respond to authority?” (with disdain, disrespect, and disobedience). Tell the class in today’s lesson they will learn what the Bible says about how we should respond to authority. We will also learn about someone who set a great example for us. 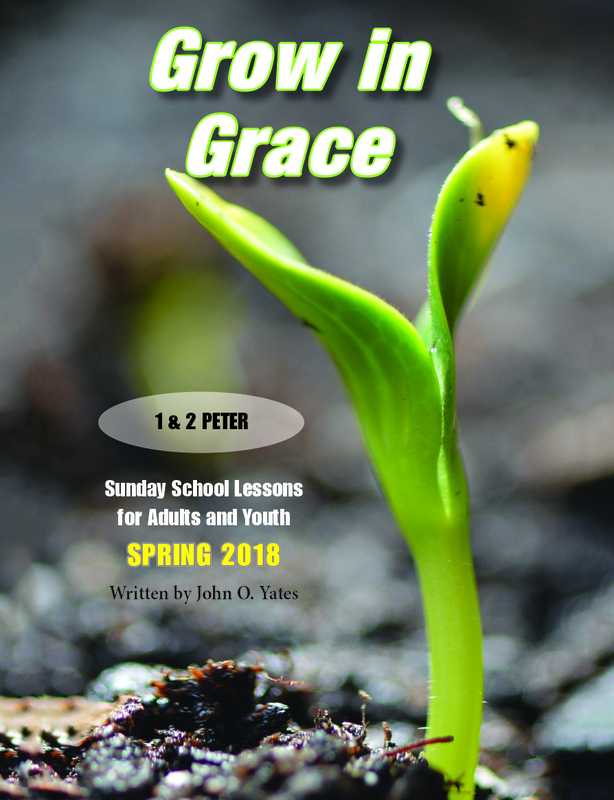 Remind the class that we are studying the New Testament book of 1 Peter. Tell them the Apostle Peter wrote this letter to Christians who were suffering under Roman persecution. Ask: “What was last week’s lesson about?” (new desires, new relationships, and new behaviors of those who have been born again). Ask if any volunteer would be willing to recite last week’s memory verse (1 Pet. 2:9). Tell the class last week’s lesson ended with some practical instructions on how Christians should live in the world. Tell them today’s lesson continues with more practical instructions. Write the words “Salvation Living, Part 1” on the marker board or chalkboard. Ask a volunteer to read 1 Peter 2:13-14. Ask: “What are we supposed to submit to?” (the laws of man). Ask: “How many of those laws must we obey?” (all of them). Ask: “Which leaders must we obey?” (all of them – whether we like them or agree with them or voted for them or not). Explain that God ordained man-made governments, but since flawed men run those governments they don’t always do the right things. Remind the students that Peter wrote this to people who were suffering under Roman persecution. Tell the class the last part of verse 14 describes the true role of government – to punish evildoers and praise those who do right. Ask the class to listen for the reason why we should obey human government, as you read 1 Peter 2:15-17. Ask for responses (it is the will of God and when Christians live within the law their critics are silenced). Explain that Old Testament Judaism had many, many laws and rules. Christians are free from the Law (verse 16), but we must still live right to maintain a good testimony. Ask the class what the instructions listed in verse 17 mean to us (we should be people of honor, love, reverence, and respect). Summarize: In order to live right and maintain a good testimony in the world, Christians must submit to authority. Tell the class in the preceding verse we have seen that those who have experienced genuine salvation should obey the laws of the land and submit to governmental leaders and to those in authority over them at work. Tell them the next verses answer those questions. Ask a volunteer to read 1 Peter 2:18. Explain that the New Testament was written in a time when slaves and servants were common. While we don’t have slavery today, employees are actually hired “servants” – they sell their services to their employer for a certain amount of money. As such, this verse applies to all of us. Ask: “What does this verse say Christian employees should do?” (be submissive to their employers with an attitude of respect). Ask: “Does that instruction only apply if you have a Christian boss or a kind and gentle boss?” (no, it applies to all bosses). Tell the class the next two verses tell us why we should do this. Ask: “Why should we obey and submit to an unkind boss?” (it is worthy of thanks and it is pleasing to God). Such submissive suffering is also evidence of God’s grace in our lives and it honors God. Tell the students these may seem like hard instructions to follow. Some of them may have bad working environments; but none of us are slaves or facing government-sponsored persecution because we are Christians. Obeying these instructions is much easier for us than for the people to whom Peter originally wrote them. This should motivate us to do right. Summarize: In order to live right and maintain a good testimony in the world, Christians must suffer patiently. The preceding verses make it clear that Christians should submit to authority and suffer patiently. Ask a volunteer to read 1 Peter 2:21. Ask: “What do you think ‘hereunto were ye called’ means?” (we were called to suffer for doing right). Ask: “Why?” (because Christ suffered for us). Explain that Jesus Christ is our example of suffering without cause. The Bible clearly says He left us an example and we should follow in His steps. He never sinned – verse 22. Christ did not fight back against His attackers, but submitted Himself completely to His Father – verse 23. Jesus bore our sins in His body on the cross – verse 24. As a result, Christians are dead to sin and able to live unto righteousness. We have been healed of the deadly curse of sin! We were like sheep going astray, but Christ has drawn us to Himself – verse 25. Summarize: In order to live right and maintain a good testimony in the world, Christians must follow Christ’s example. Tell the students those are some nice instructions and they are clearly three important aspects of salvation living, but they won’t make any difference in our lives if we don’t apply them. We should decide on some specific actions to apply these instructions to our lives. Encourage the students to select some specific actions and commit themselves to doing those things this week. Voice a closing prayer. CONCLUSION: Ask everyone to memorize 1 Peter 2:24. Encourage them to follow through on the specific plans they have made to live like a believer this week.